Rupert is excited to announce the first group of speakers and tutors for the 7th Alternative Education Programme. At Rupert these guest speakers and tutors will offer the participants lectures, reading sessions, workshops, excursions, and/or involve them in informal conversations and discussions. Ana Teixeira Pinto is a writer and cultural theorist. She is a lecturer at the Dutch Art Institute, Berlin University of the Arts and a research fellow at Leuphana University, Lüneburg. Her writings on a range of topics in the realm of art and digital culture have appeared in publications such as e-flux journal, art-agenda, Mousse, Frieze, Domus, Inaethetics, Manifesta Journal, Afterall, Springerin, Camera Austria and Texte zur Kunst. Àngels Miralda Tena is an independent curator and writer based in Barcelona and Berlin. Her curatorial research interests are in the materiality of art objects and how matter relates to global social and economic environments relative to artistic production. She is a Contributing Editor at Collecteurs Magazine, New York and Rotunda Magazine, Santiago, and a contributor to Collecteurs Magazine, Rotunda Magazine, A*Desk, Revista Arta, AQNB, Sleek Magazine, Contemporary Art Stavanger, Blok Magazine, Brand-New-Life, Daily-Lazy. Candace Goodrich is an artist and curator based in Stockholm and Vilnius. 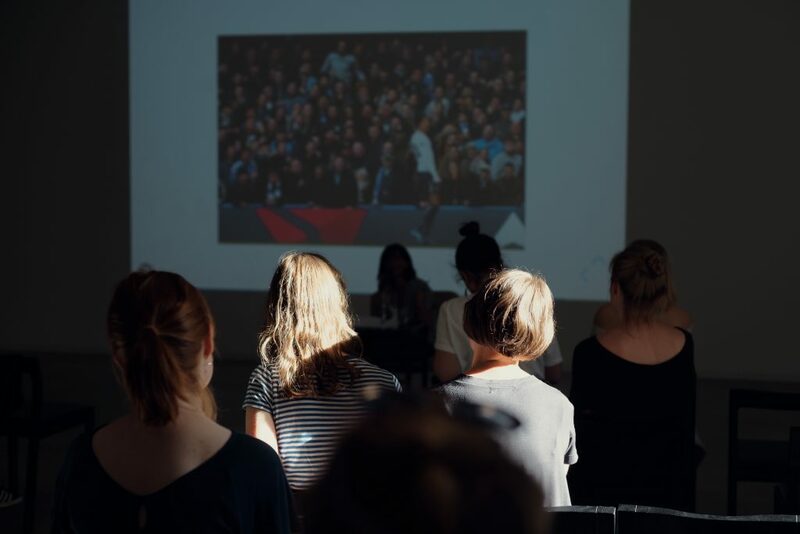 She was the founding Art Director of ‘Kunstkraftwerk’ (Leipzig), directed the international artist residency, ‘One-Sided Story’ involving 38 artists between 2012-2014 and co-founded ArtSci Nexus – an interdisciplinary platform fostering collaborations between the arts and sciences – where she also co-directed its education programme. Kate Cooper is an artist and co-founder and Director of the London-based collaborative art studio ‘Auto Italia’ (London). She explores alternative forms of labor-structures within art practices and her work often deals with hypercapitalism, the digital body and representation of femininity. Maria Sarycheva is a Moscow-based curator, educator, art critic and co-editor of the independent online-magazine about contemporary culture and art, aroundart.org. She has also worked as the Inclusive Projects Coordinator at the Garage Museum of Contemporary Art in Moscow and currently continues her independent curatorial practice in Russia and internationally. Monika Kalinauskaitė is a curator and writer based in Vilnius. She actively works with emerging artists’ exhibitions and is the co-curator for the JCDecaux Young Artist Prize at the Contemporary Art Centre, Vilnius. She is a co-author of a graphic novel (written together with Monika Janulevičiūtė) Great Outdoors, and regularly publishes art reviews, critical and fiction texts in the Lithuanian press and internationally. Povilas Dikavičius is a Lithuanian historian who specialises in Medieval History, Religious Studies, the Polish-Lithuanian Commonwealth and Early Modern social and intellectual history. He is currently pursuing a PhD, ‘Honor in Harmony: Social Unity Based on Ethical Virtue in Renaissance Poland-Lithuania’ at the Central European University in Vienna. Victoria Ivanova is a London-based curator, writer, consultant and co-founder of ‘Izolyatsia’ (Kiev), ‘Real Flow’ and ‘Bureau for Cultural Strategies’ (BUX). She is currently doing a practice-based PhD in collaboration with the Serpentine Galleries and London South Bank University on systems and technologies of global ordering with particular interest in human rights, finance and contemporary art.